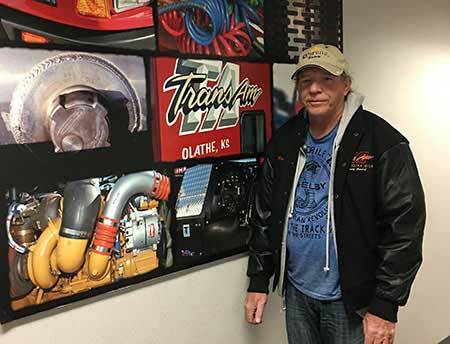 Randall Inman hit 1 Million Miles with TransAm Trucking and he plans on many more! He started with TransAm Trucking as a regional driver in 2008 and a year later, transitioned into an over-the-road company driver when his regional lanes closed. Randall has driven a large part of the United States, but one thing remains constant: his positive relationship with the company. He said he’s “never had any trouble [with TransAm]. It’s a good company to work for.” To drive the point home, Randall announced he plans to retire with TransAm, during his Million Mile Award Ceremony. So what made Randall choose a trucking career? He says it’s the travel. He especially enjoys getting to see the mountains, which are not native to his home in Lumberton, NC. With 1 million miles under his belt, he’s seen a large chunk of the country. We’re glad we could be with him every step of the way. TransAm gave Randall the opportunity to travel the country. Randall gave TransAm a noble driver. It’s a relationship that has grown through mutual respect and hard work. We are thankful to Randall for choosing TransAm Trucking. Congratulations on your Million Mile Achievement!